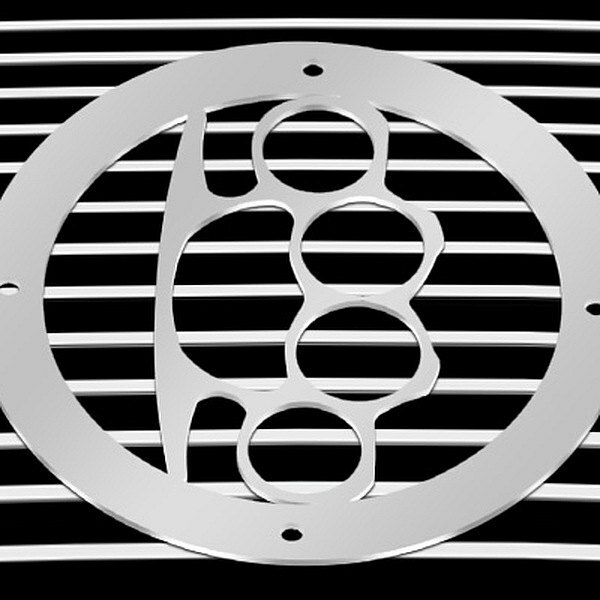 Universal Brass Knuckles Polished Stainless Steel Grille Badge (L1008) by T-Rex®. Installation type: overlay (bolt-on). Size: 6″ dia. Complete your vehicle’s unique custom look with a distinctive grille badge. Machined from billet aluminum and chrome plated or powdercoated black with or without machined detail. Easily installs to grille with studs and nuts.